Oh, me, too! In Maine, Spring just speeds by. Too fast, too fast. Lovely photos–and for some reason, our ferns spring fully-unfurled onto the rocks in the back of the house. 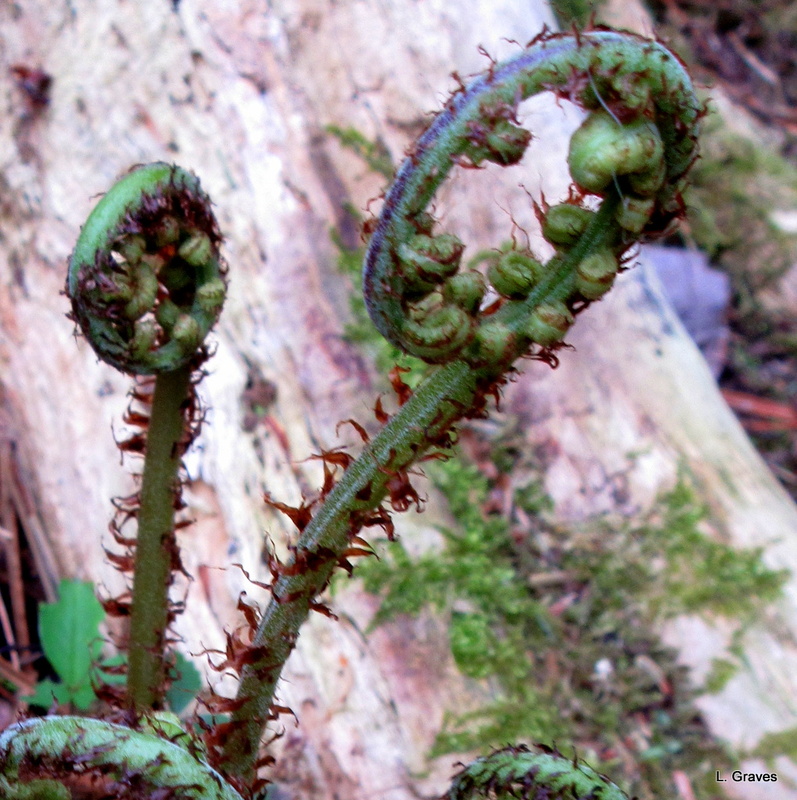 They seem to grow there pretty much fulltime, and there has never been a time when they were fiddleheads–it puzzles me. There are several different types there as well. Hmm. Very nice. You have reminded me that I should go on a fern walk myself. Ferns all around our house. I love them. I so love the colors- that fresh green with the rosy background… so lovely! This spring photo makes my eyes happy! It is amazing to look at all those green buds on the stem and think they are unfolding into leaves…. just wonderful! 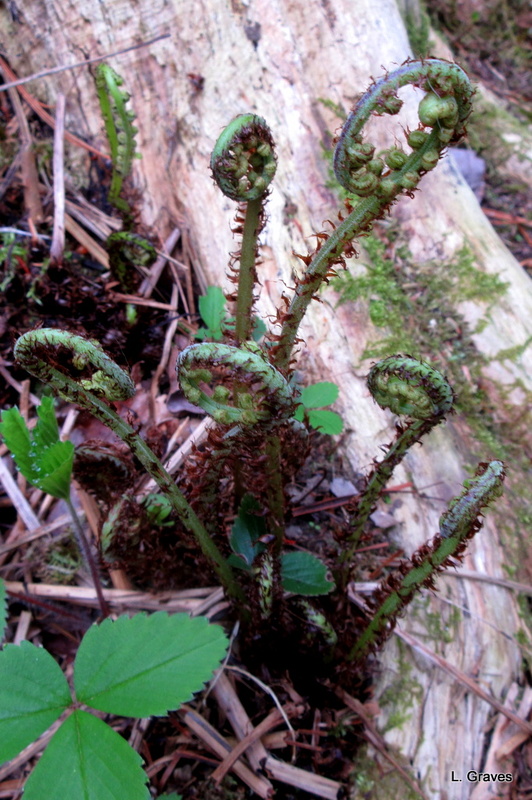 I love unfurling ferns. Great pics! These ferns have an interesting texture, a bit spiky. Thanks, Jason! Me, too. I am always fascinated by the close-ups afforded by the camera.